Yesterday, I trusted a 16 year old Togo boy with 200 USD, it was a good day. Trust; in for a little, in for a lot with Mario. Faith is being afraid, but trusting anyway that all will be OK, and if not, that is also is OK. Because without faith, we are without hope, and when without hope, we have really gone down the rabbit hole. This story starts with trusting Mario with 6 United States dollars. Each day here in Kpalime, Togo I walk by a small food stand at the bottom of the hill from my six dollar per month room. This typical Togolese food stand sells the dried peanuts I like, and not the boiled ones I despise, plus many things, but I particularly like the Beignet de Piments, a deep fried batter of crushed white beans, mixed with hot pepper powder. At least, I think it is pepper powder, but I am never positive, people cooking love to be mysterious, as if they are performing magic when cooking food, we need to just trust them, what they are cooking is good. Which is about 6 USD, United States Dollars? Well, this is how real life goes, between 2-3 people who do not speak the same Language, both Mario, and his mother speak Ewe, and horrible French, I honestly speak 50 times better French than either of them. We heehawed around, and finally for lack of reason to think, analyze, or further confuse myself, I took out 3000 CFA and handed it to Mario. Oolala, 3 days later I see Mario carrying my new table on top of his head, up the hill towards my 6 dollar per month room. Whoopee, I have a table, and I needed a table, cooking on the floor, putting things on the floor, always bending over to the floor is annoying, but good exercise. Mario is taking care of me, when I have trouble doing it myself. Which translated from French means, “I have benefited.” However, if you look up the word benefit, or beneficier in a French / English dictionary, it will continually try to give you the word “profit.” Which, by the way, is a better way of thinking, yes, indeed, I profited by trusting in Mario. A week or two later, I requested another table from Mario, and gave him 3000 CFA, the 6 dollars needed to buy a table, and again, he is walking towards my room a few days later with a table on his head. What is up with this boy, he is a machine, he performs, I profit greatly from him. Each time, without talking, I give him another 1000 CFA, about 2 dollars so he knows I appreciate him. We are friends; this is a friendly game, not a serious game. Again, a few days ago, I thought to myself, I really need to buy more scrub nets, and send to Amazon.com in the USA, I will be out of them in a few days. But, dealing with the people in the Kpalime, Togo market is like making a deal with the devil. I just cannot be bothered, it is tiresome, and I have no cultural tools, no way of surmising who I can trust? So, in for a little, in for a lot of trust, yesterday I gave him 200 USD, and he purchased a news supply of scrub nets. Not that simple, the woman will make a trip to Lome, we fronted her 100,000 CFA, and on Wednesday, I am to receive the scrub nets. I hope that all mankind continually strives to understand faith, and hope this task is painful, frustrating, and drips of fear. Humility it teachable. To be teachable we need to accept, we are not God, we are not all knowing, all powerful. There are people who believe they are God, they are all knowing, there is never a bit of humility, they refuse to be teachable, they only teach. 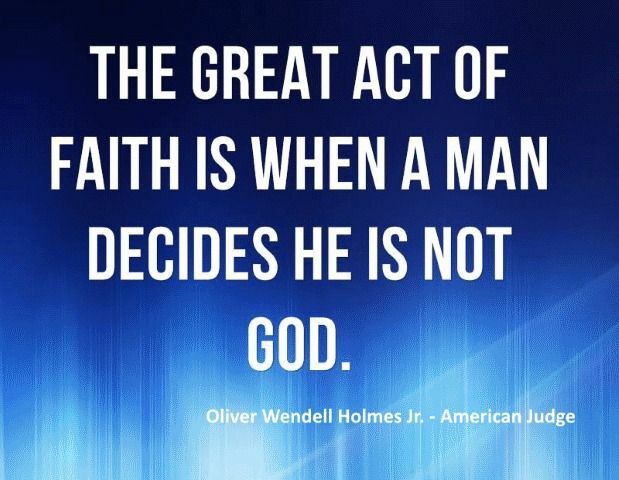 Faith is being afraid, knowing logically, in well thought out way, that the decision we are making is dangerous. Understand, if Mario keeps my money, I have zero recourse, I will lose 200 USD, no contract, no piece of paper, nothing can, or would be done by me, and I would only give him a mean look of disgust, and move on with my life. I am absolutely every day of my life surrounded by Jokers, people without remorse would lie to me, cheat me, and take all my money, it often feels hopeless. Where do we find good people? We have to go fishing, with the correct bait; a lot of faith, and trust, and fueled by hope. We are surrounded by good people, each and every day of our lives, and nothing logical about it, it is an act of faith. We all can have faith in our fellow man; the other path is down the rabbit hole. Please note: Today, is June 21, 2016, and I am writing this missive on Tuesday, I am to receive my scrub nets tomorrow, I am writing in trust, and faith, that the good Gods will allow to happen what should happen, not what I want to happen, but what should happen, everyday is a new lesson to learn, and when the student arrives, the teacher appears.